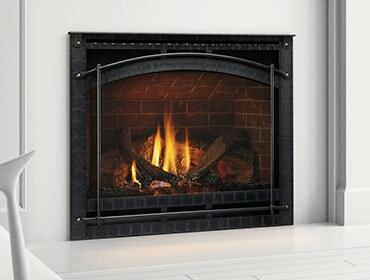 U. S. Tax credit now available on select Heatilator Fireplaces. In January, the United States Congress passed a bill as part of the Fiscal Cliff legislation that included a reinstatement of a federal tax credit for the purchase of qualified biomass stoves/heaters. So, if you purchase a qualifying stove, insert or fireplace in 2013, you can get a tax credit of $300. And the tax credit was made retroactive, so if you purchased a qualifying unit in 2012, it is eligible for the tax credit as well. Featuring the industry’s most advanced technologies for heat efficiencies, the Heatilator Constitution wood-burning fireplace qualifies for the tax credit.